Synopsis: An in-depth examination with new evidence about the assassination of John F. Kennedy. 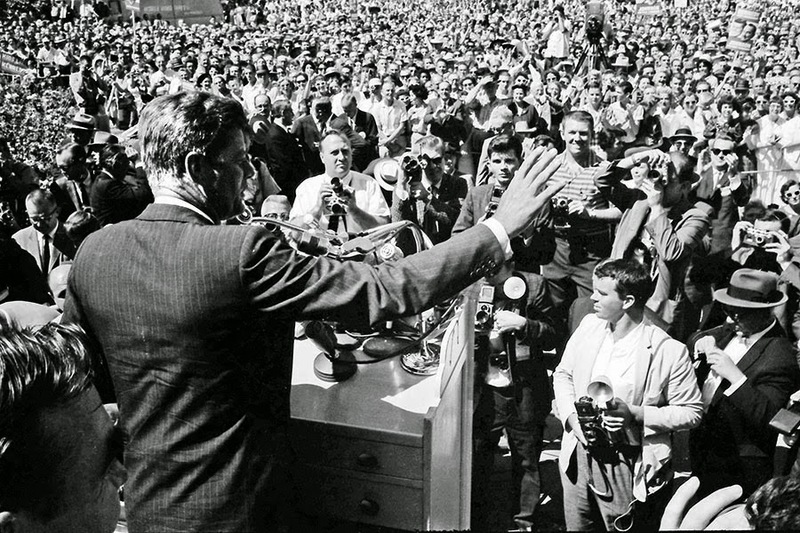 Ever since his assassination, controversy and conspiracy has surrounding John F. Kennedy. Numerous specials and films have tried to shed light on the events on that fateful day in November. A COUP IN CAMELOT is another such documentary, but instead of bombarding us with conspiracy theorists and wild accusations, the filmmakers used previously unseen documents, information, and technology to piece together the events. The film is broken up into five sections: the secret service, forensics, transportation of the body, the autopsy, and Lee Harvey Oswald. Each section is rich with facts, most of which the audience weren't familiar with. For example, the standard secret service protocol for a motorcade was very different than in previous instances. It takes us step-by-step of what the process should have been and what it ended up being, which helped seal the president's fate. There are some particularly graphic images during the autopsy section which aren't for the faint of heart. Even though they are vivid, they're important to attempting to solve this mystery. There are only a handful of experts who provide the talking heads throughout the film, which helps to not feel as overwhelmed with the amount of information that's being conveyed. This documentary could have easily gone the conspiracy theorist route with testimony from people believing various ideas about who/what organization was responsible for the assassination. However, Goetsch was smart in keeping with experts in various fields looking at the evidence. Some experts just reexamine the evidence while others use new technology to view the evidence is a new light. The famous Zapruder film is put through a modern digital upgrade which makes the images crisper, thus we're able to see even more detail of the assassination and the movement of JFK's body when he got shot. The movement is important because it unravels the lone gunman theory and opens up the possibility of someone else pulling the trigger from another location. One aspect the film touched on but could have spent more time diving into was the reason why all of this happened. There's no doubt there was foul play surrounding Kennedy's death. It was very clearly a compartmentalized operation, but what was the ultimate motivation. Also, who developed this whole plan? All of these thoughts could easily be explored in another film, but COUP leaves us with some lingering questions. Most logical people could look at the evidence and know something fishy went down, but knowing motivations would bring about a closure that hasn't really happened yet. This film is easily one of the most eye-opening documentaries in recent memory. It would have been easy to write off this film as just another documentary about the Kennedy assassination, but the filmmakers went with a more compelling, fact-based approach which makes this a must see for anyone interested in this mystery.